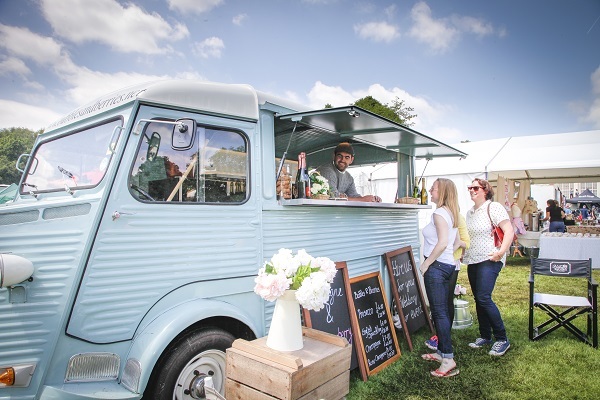 Foodies Festival returns to Bristol’s Durdham Downs from May 12th to 14th – and we have five pairs of 3-day tickets to give away! The 3-day adult tickets are worth £20 each, and give you access to all that this huge food festival has to offer. Learn to bake in the Cake and Bake Theatre; taste wine, champagne and craft beer in the Drinks Theatre; feast in the Street Food Avenue; keep kids entertained in the Children’s Cookery Theatre; sample afternoon tea in the Vintage Tea Tent; buy from local producers at the Artisan Market; compete in the Chilli Eating Competition; sup cocktails from the Pimms Teapot and the Bar Bus, relax with live music on the Unsigned Music Awards stage…there’s plenty going on. Top chefs including GBBO winner Candice Brown and local favourites Josh Eggleton and Dean Edwards will be among the chef demos, while there’s also a Grow Your Own area, brand new Creative Summer Workshops, a BBQ Arena and more. For your chance to win one of five pairs of 3-day tickets to the Bristol festival, simply follow me (@bristolbites) and @foodiesfestival on Instagram, like this post (also embedded below) and comment on the photo, tagging a friend. The competition closes at 11.59pm on Tuesday, May 3rd, after which time I’ll pick the winners…good luck! One Response to Win tickets for the 2017 Bristol Foodies Festival! I’d love to visit Bristol again. We used to spend a of time there many years ago. Lots of interesting place I’d love to visit again especially the Food Festival which I have not yet visited.